See what our customers are saying about Mitchell 1 DIY. THANKS so much for this product. I had a problem with my brakes and none of the other DIY books helped me, but Mitchell 1 DIY had what I needed and was easy to find and understand. Thanks again for a great product and I am adding all my vehicles. It is hard to estimate the amount of time I've saved, let's just say it has to be very significant. The cost is a great value for the ease of use and the information received. It is good to know that you are open to suggestions on improvement, if I come up with anything it's good to know that you will listen. Your service is valuable please keep it going. I had seen and now I know why. 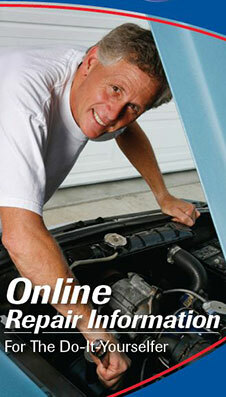 The information here comes from Mitchell 1; most of the pro technicians I know pay good money every month to use it. The vehicle has a leak near the tailgate area and there were some Honda tech bulletins here that I never knew about. It was worth it just for that and details of the "surprise" third fuse panel under the hood. True, some of it might be over your head, but overall I found Mitchell 1 DIY to be a great deal for a car savvy do-it-yourselfer. You know, I have hesitated for a years in buying eManuals for vehicle repair. The experiences of others was less than flattering regarding the idea of eManuals. I recently came to a point (prep for AC system rebuild) where I simply could not find data sources I could trust. Since I could not find a hard-cover Motor manual, I decided that I would put up my 40 bucks for a 4 year eManual subscription (pricing just made sense in case I liked it). I bought, registered, and accessed. Oh my lord, I should have done this years ago. I have never in my 45 years of automotive repair experience (professional and DIY) seen so much accurate data available via a single point of entry without paying thousands at any point in my life. The data I gathered in under 5 minutes was enough to pay for the subscription. Wow. I will never buy another manual again. I will get your eManuals for each car in the family as the need arise (and the warranties expire). For the work I do for friends, I'll buy the appropriate subscription for the length of time involved for the repairs. You have just acquired one very satisfied customer. And yes, I will advertise for you religiously. Well done, and thank you! As a boy and a young man, I had this dream that at some point in the future, I'd be able to access mechanical repair data via some cool electronic device while working on the vehicle in my garage or where-ever. No books, no tech-sheets, no paper. Just data updated as new data became available. Well, that device just became my iPad, and my dream has been realized. So cool. I am very excited!